Recently, my daughters and I went on a shopping spree for pottery in Boleslawiec. On the last day of our trip, the hotel manager asked if we had seen “the castle”. 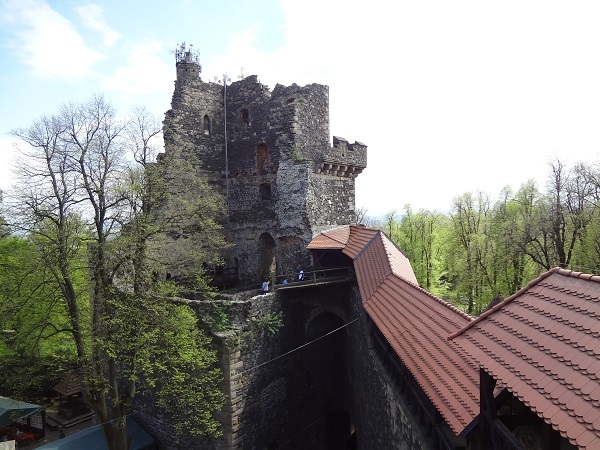 Considering we have seen about 100 or so of them, we weren’t particularly enthused by his suggestion that we take a quick detour to the Grodziec Castle before heading back to Germany. 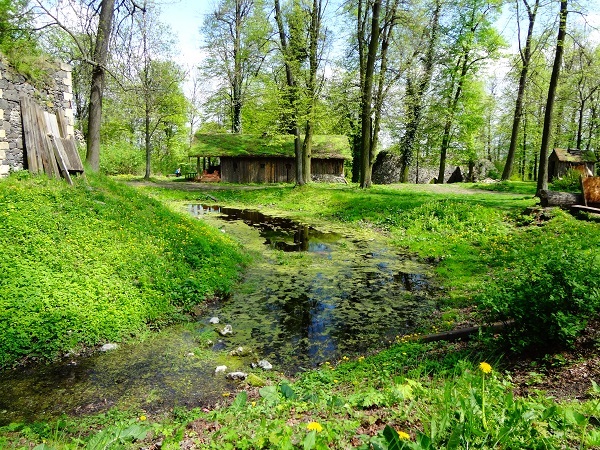 The small village of Grodziec is a short 25 km from Bolesławiec with an inactive volcano. 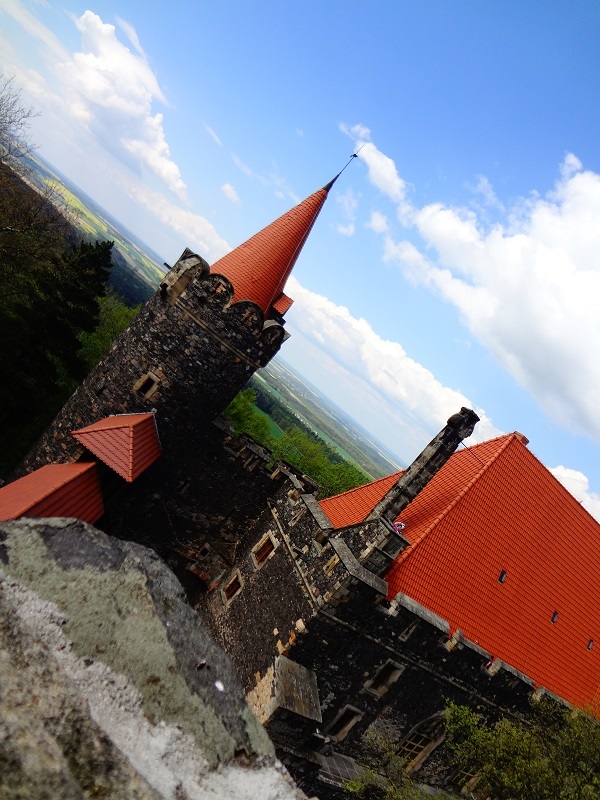 When the manager of our hotel informed us that there was a medieval castle there sitting at the top of a volcano, we decided that Poland’s Gothic Grodziec Castle might just be worth our time. We were not wrong! 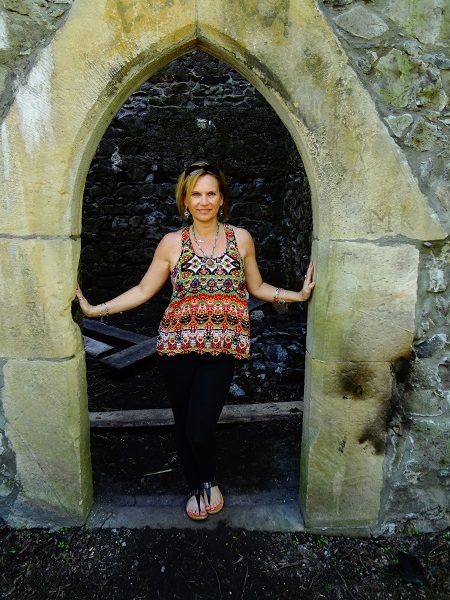 Living in Europe means that there is pretty much a castle or castle ruins in every village. Basically, you can’t leave one castle without bumping into another one. So, needless to say, I have almost had my fill of castles. However, when there is one sitting on the peak of an old volcano, well that kind of gets your attention. 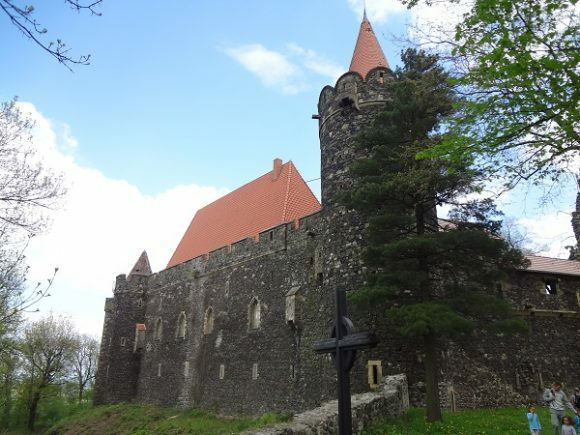 Poland’s Gothic Grodziec Castle was originally built in 1155 and yet the grounds and structure are still intact. 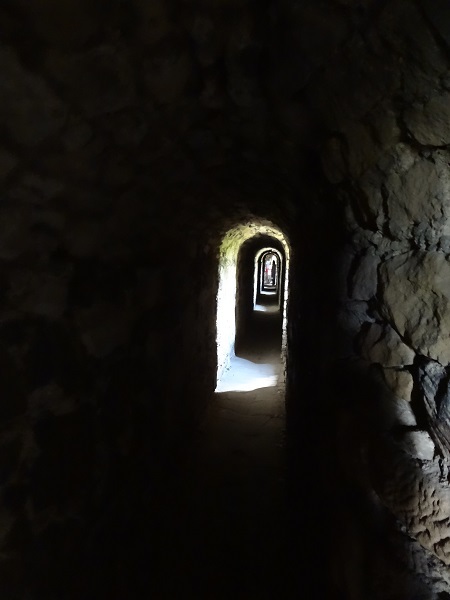 There is a lot to explore inside and outside of the massive castle. 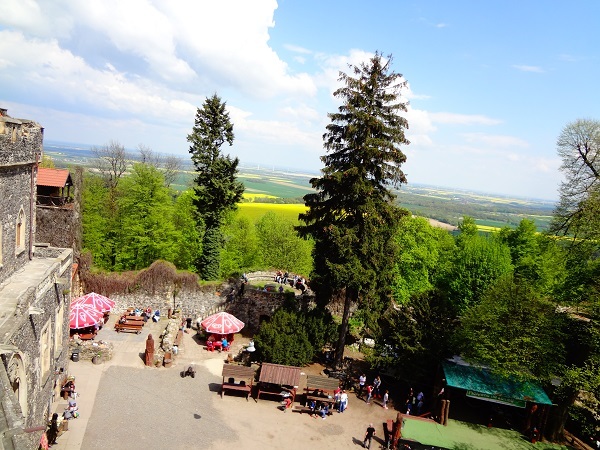 At the end of our Polish pottery shopping trip, we spent a couple of hours touring this medieval castle and enjoying the views. There is a rather large courtyard inside the walls, which seemed to be the place for a festival of some sort. We spent about two hours on the grounds, just walking through tiny, dark corridors leading to chambers of terror. Seriously, there were rooms displaying different methods of torture. I couldn’t bring myself to take pictures. Just walking between the chambers was creepy enough. Fortunately, once we reached the top, we had some breathtaking views. A leisurely walk around the outside of the castle was a nice end to our day. There is free parking at the castle and a restaurant in the courtyard. 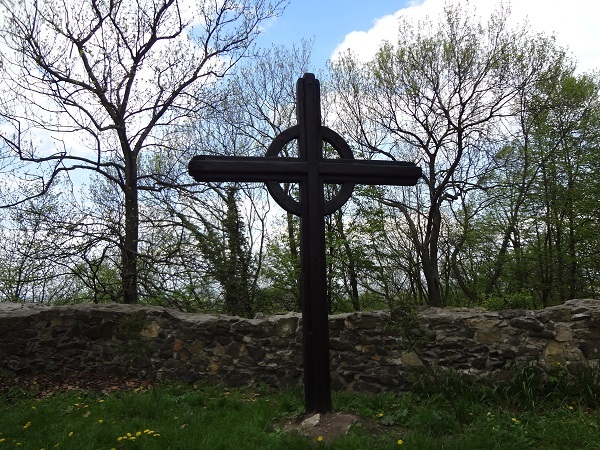 The entrance fee is 10 PLN (Zloty ~ Polish currency) which is about 2,50 €. They only take Polish Zloty, so make sure you arrive prepared. 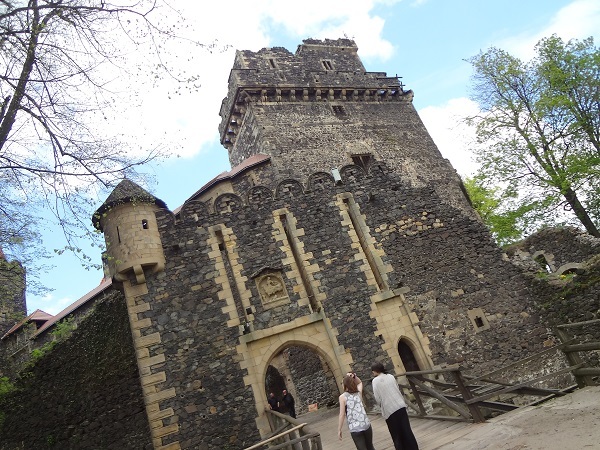 While on your Polish pottery shopping run in Poland, it behooves you to explore the Gothic Grodziec Castle. 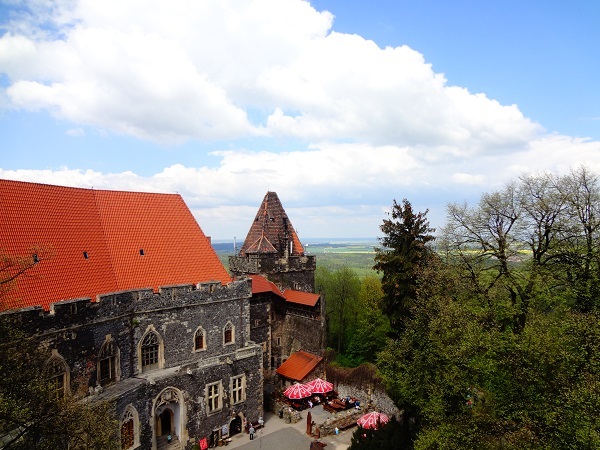 Sitting on top of an inactive volcano, this massive medieval castle has breathtaking views, beautiful grounds, torture chambers and more. 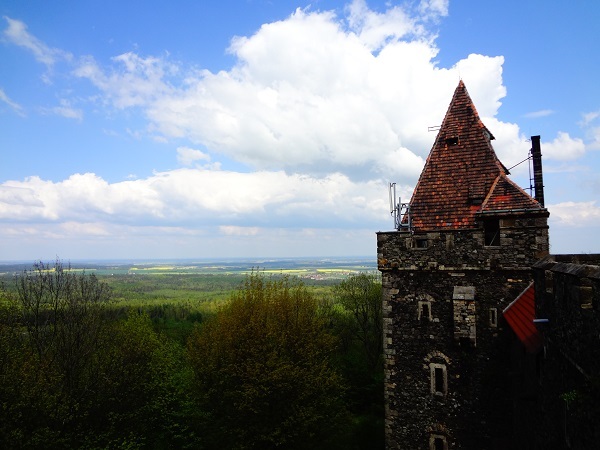 The drive to the castle is just over 7 hours northeast of Kaiserslautern, more than 6 hours northeast of Wiesbaden and over 6 hours and 30 minutes northeast of Stuttgart.